Over 60 years ago, we created Kim wipes Wipers, the first and still the Number 1 lab wiper. 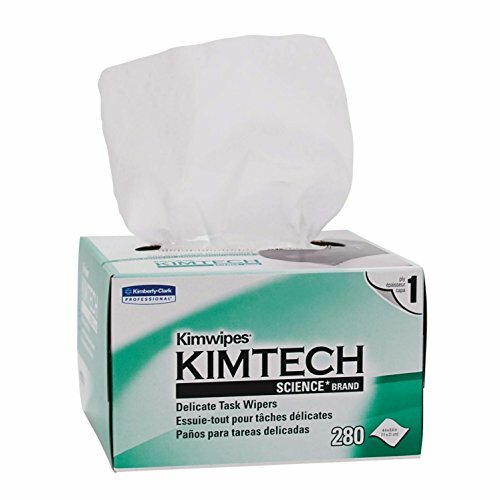 From sterile pre-saturated cleanroom wipers to the wiper that's the industry standard for labs and research, Kimtech Brand continues to provide the high-performance wiper solutions you need for wiping surfaces, parts, instruments and cleaning lenses. This wiper is made of 100% virgin wood fiber to help prevent contamination. The dispenser box has a pop-up hole that helps to dispense wipes one-at-at-time and prevent electrostatic shock. Industrial wipes are non-woven disposable towels consisting of wood pulp, synthetic fibers, or a blend, and reinforced with a binder. They are used to wipe small quantities of solvents or other liquid from hands, tools, equipment, or other surfaces.